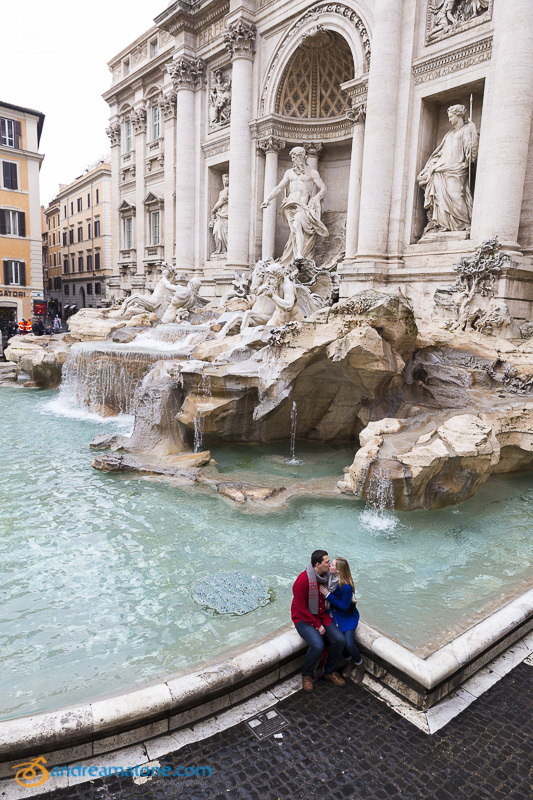 we met at Fontana di Trevi with perfect timing. With a blink of an eye were were headed down to the water edge. Plenty of room on the right hand side of it. So we took place and waited for the right moment. That is right after the launching of the coin in the water. The surprise proposal was just there. And what a wonderful surprise! was our next step. After recuperating from the shock we took some more pictures in around the water fountain. From different angles and from above. 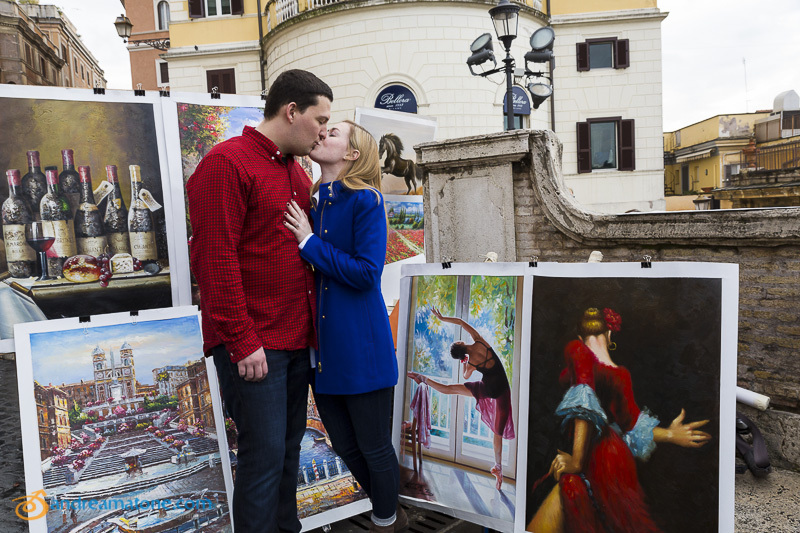 Then it was a fun walk to Piazza di Spagna. Beginning with Via Condotti and the High Fashion district in Rome. Using some of the stylist’s showcases as engagement photography backdrops. after photographing around the Barcaccia water fountain. We took a few snap shots at the bottom of the stairs. Then up to Church Trinita’ dei Monti. What a great view from up there. Overlooking the whole city of Rome from above. We ended the photo session flipping though some colorful paintings. Great pictures lead to great weddings. Congratulations! 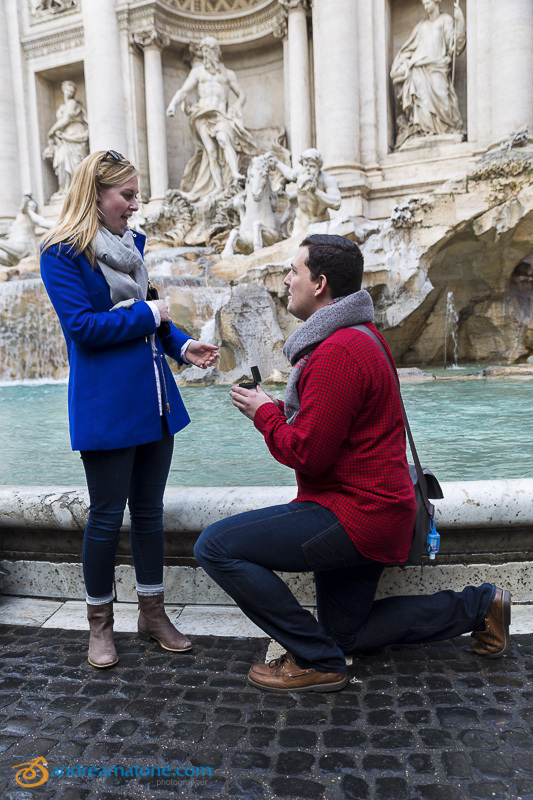 More Information: surprise wedding proposal 2014. 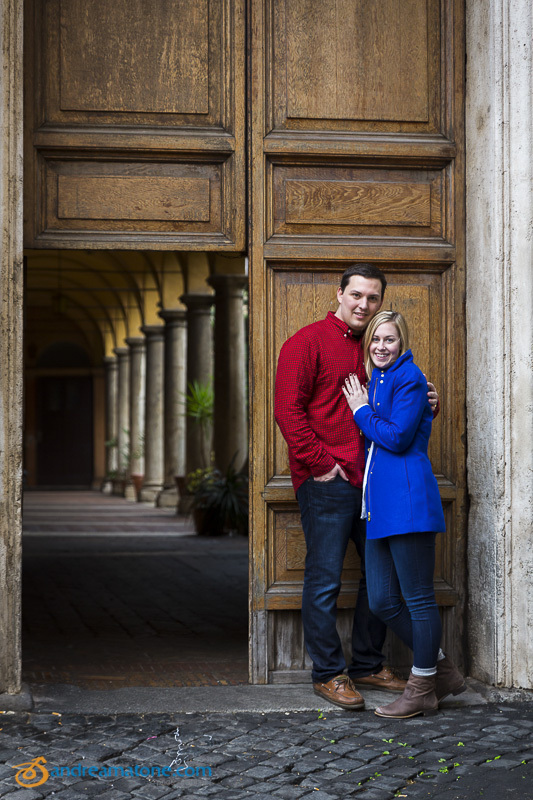 Photos of the Surprise Wedding Proposal candidly photographed by a professional photographer in Rome Italy.